Exploring films made in Tunisia, Morocco, and Algeria from 1985 to 2009, Suzanne Gauch illustrates how late post-independence and early twenty-first century North African cinema prefigured many of the transformations in perception and relation that stunned both participants and onlookers during the remarkable uprisings of the 2011 Arab Spring. Through multifaceted examinations of key films by nine filmmakers&#x2015;Farida Benlyazid, Mohamed Chouikh, Nacer Khemir, Nabil Ayouch, Ly&egrave;s Salem, Nadia El Fani, Tariq Teguia, Faouzi Bensa&iuml;di, and Nejib Belkadhi&#x2015;Gauch delineates the shifting relation of politics to film in the era of neoliberal globalization. Each work, she argues, taps the power inherent in cinema to destabilize patterns of perception and judgment while taking film's role as popular entertainment in new directions. 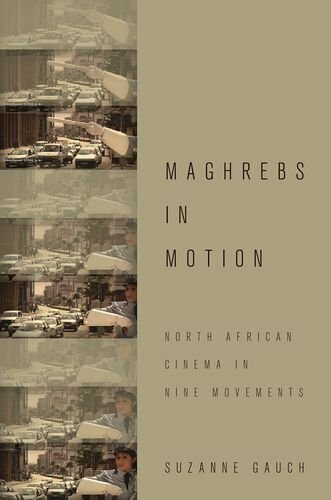 Highlighting how each film taps into the mobility at the core of cinema to break through the boundaries that have long circumscribed filmmaking from North Africa, Gauch shows how this cinema continues to forge and reflect unexpected trajectories for itself and its audiences.